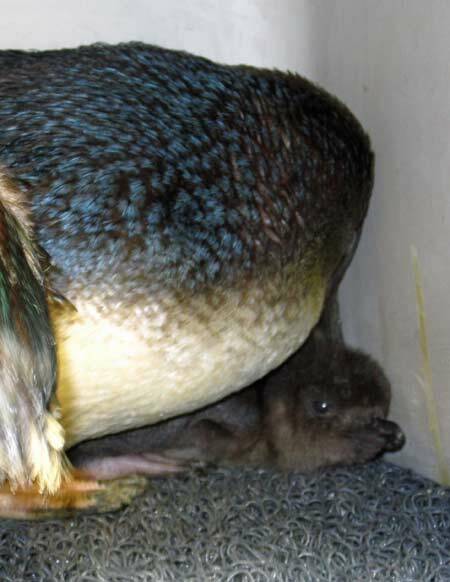 Little Blue Penguin Breeding: Wait, these are babies! The Aquarium participates in a Species Survival Plan for our penguins. 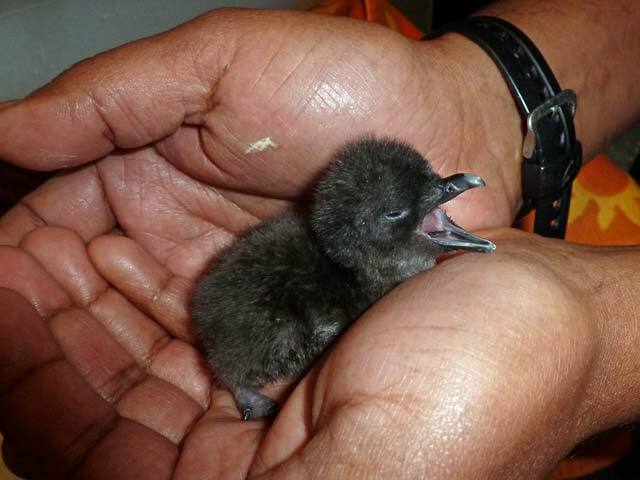 Right now is little blue penguin breeding season. Over the coming weeks we'll share behind-the-scenes pictures and details about what it takes to raise penguins chicks on Central Wharf. Catch up on what you missed! 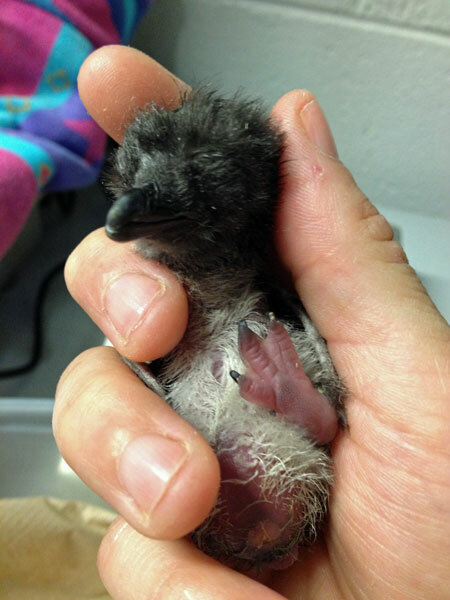 Given their small size we are often asked if the little blue penguins are babies. All of the little blue penguins on exhibit are full grown adults or juveniles. 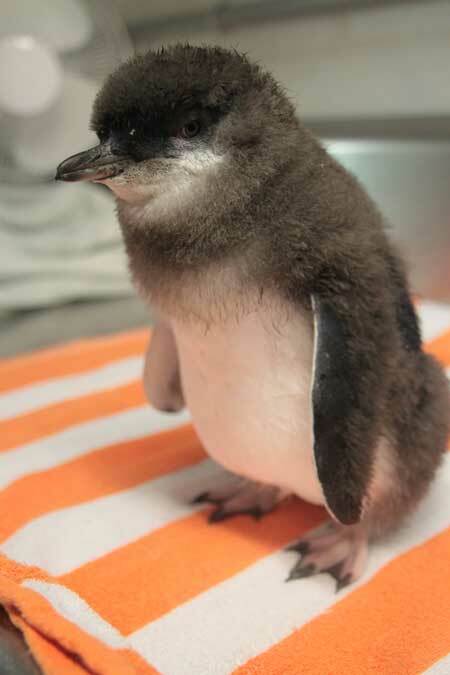 The little blue penguin is the smallest species of penguin and stand at about 10-12 inches tall and weigh 2-3 pounds. In fact, many visitor at the Aquarium ask if the little blues are babies. Nope! If the adults are that small, can you imagine how small the chicks are? 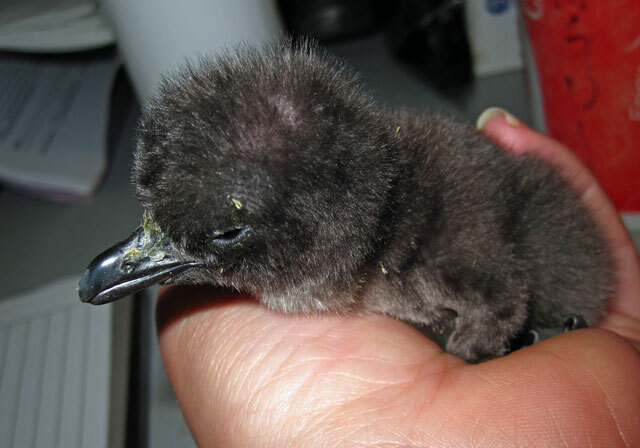 When a little blue chick pips out of its shell it usually weighs between 30–40 grams, which is only about 1–1.5 ounces! 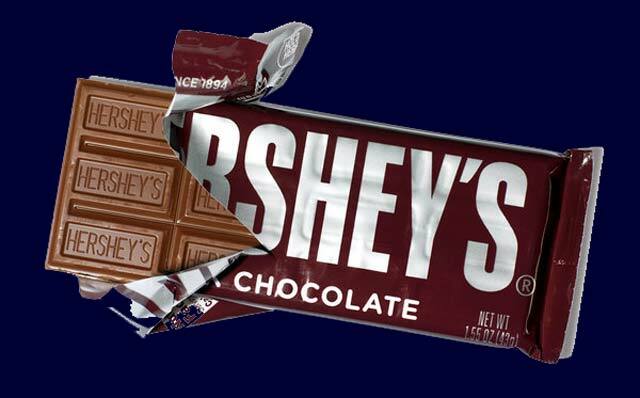 That’s about the weight of a Hershey Bar. This photo was taken shortly after this chick finished hatching and weighed less than 40 grams. These tiny little chicks grow very fast. In about a month’s time they can weigh as much as their parents. These “big babies” are still covered with down and rely on their parents for food until it fledges. Once fledged, they have their first set of waterproof feathers; at this time they are ready to swim and get food on their own. 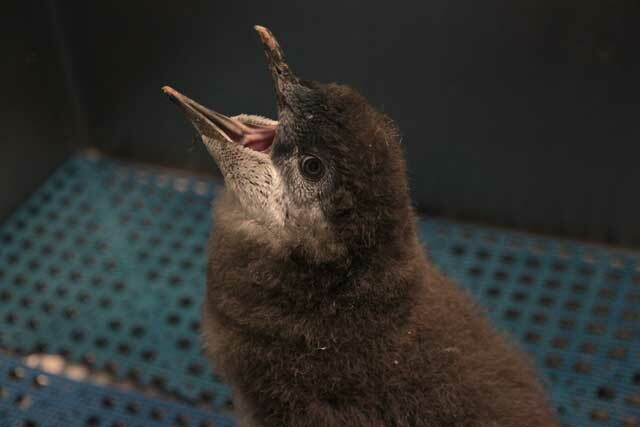 Here are some photos of our little blue penguin chicks that were born behind the scenes. This chick is about one month old, and as you can see it is the same size as its parents but is still covered in down. At about 6 weeks old this chick has started to fledge. Its first set of waterproof feathers has started to replace its down. 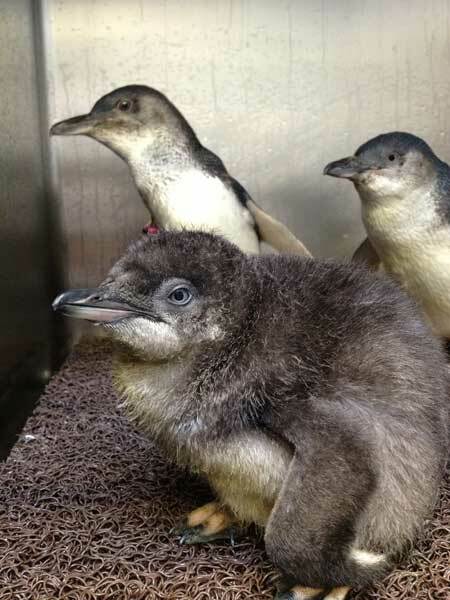 Come see the little blue penguins in their exhibit at the Aquarium! Choose a time you wish to visit and buy a ticket online. Print it out at home (no service charge!) and you'll be well on your way to seeing all 80+ penguins on Central Wharf.